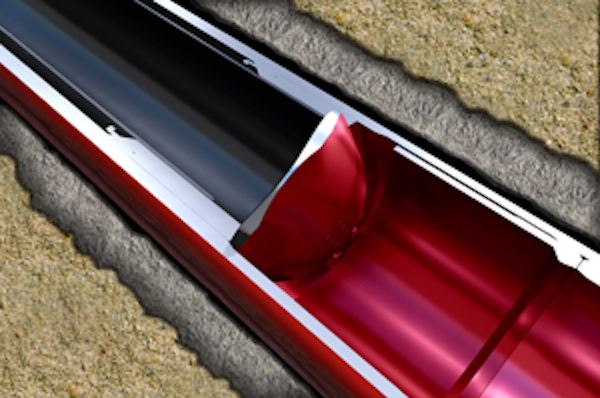 Today’s difficult drilling environments make wellbore construction a challenge. Drilling hazards—such as wellbore instability, lost-circulation zones, over-pressurized formations, and shallow flows—can threaten the economics and operational viability of the well. Managed pressure drilling (MPD) is a highly successful means of mitigation for many like problems. More technology: Microflux™ control system. Leverage Weatherford’s extensive portfolio of MPD equipment and associated ability to maximize control of your wellbore’s pressure profile, mitigate multiple drilling hazards, ultimately make otherwise undrillable prospects drillable. 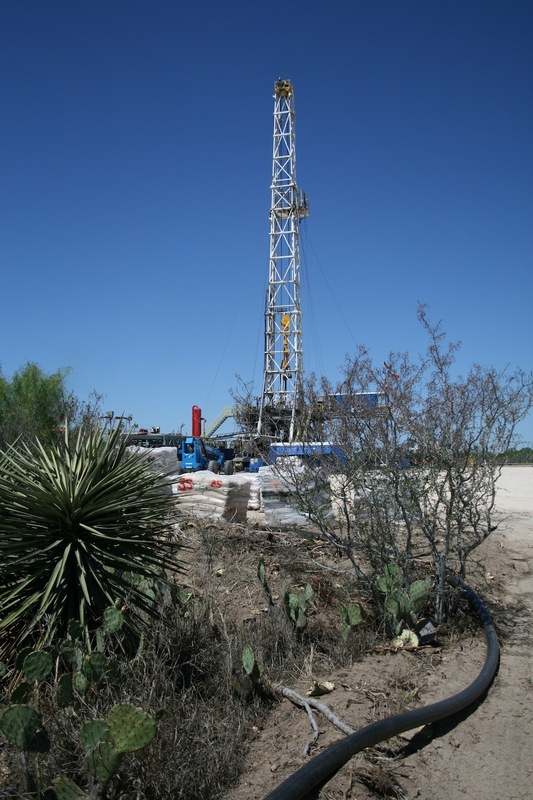 Managed Pressure Drilling is More Productive Drilling. Managed Pressure Drilling (MPD) systems connect to and enhance a rig’s conventional drilling components. Two basic elements that MPD enhances are the drilling fluid and the circulation system which every drilling method uses to control bottomhole pressure (BHP). As a field ages with production, pore pressure, well-bore stability, and fracture gradient can change to the point where more dynamic control is required. These tasks do not change as a field ages, they just get harder to do. The collection of pressure control methods referred to as MPD complements the basic elements of drilling by adding more control to the BHP. 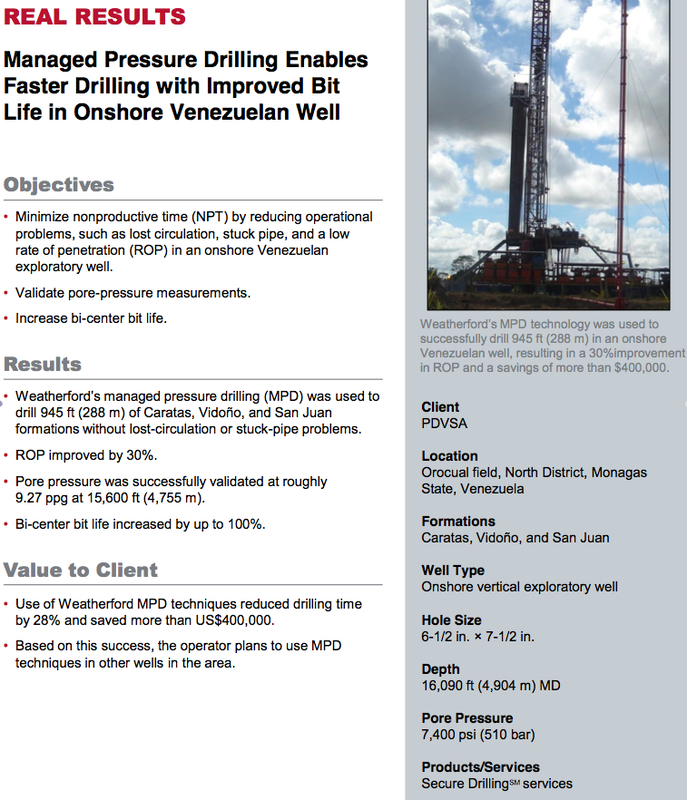 MPD extends control over the BHP to operational phases when the rig pumps are off, improving wellbore stability, well control, and safety, and bringing into reach productive prospects too expensive to drill otherwise. In an open circulation system drilling is limited to managing the pressure with the static MW and when the pumps are on with the annular frictional pressure (AFP). The AFP is a function of a number of variables including the mud weight, mud rheology, flow rate, and the well and drill string geometries. When the mud pumps are off the only means to control the BHP is through the mud weight which limits the ability of drilling to manage narrow margins as illustrated in the above plot. The MPD method known as constant bottomhole pressure (CBHP) refers to a process whereby the annular pressure in a well is held constant or near constant at a specific depth, with the rig mud pumps on or off. It is important to understant that constant is relative. In the context of CBHP it means maintaining BHP within a window bounded by an upper and lower pressure limit. The difference between these limits is also known as a margin.